Ivana George offers archival framing service using the best quality materials that will protect and beautifully display your art. She offers framing in a contemporary gallery style using a wood squared profile frame in black or white, which complements the art and many decor styles. Should you prefer a frame profile and mat color that coordinates with your decor style, she recommends that you use a local frame shop. Learn more about the archival quality materials Ivana George uses and recommends in framing by reading about it on her blog. Framing service is available only for orders to be shipped within the continental USA, and for prints up to 28" x 42" in size. For larger sizes, a local frame shop is recommended. Gallery Framing for Limited Edition Print size 14" x 21"
Gallery Framing for Limited Edition Print size 28" x 42"
Gallery Framing for Limited Edition Cyanotype Print size 8" x 10"
The artworks you see on this website are available for exhibition, acquisition, lease, publication and licensing. Items with an * are required to join the Art Insiders! If you opt to share your street address you will get mailed exhibition invitations for events near you. By providing your city, Ivana will invite you to exhibitions in your city. By providing your state, Ivana will be able to invite you to exhibitions in your region. By providing your zip code, Ivana will be able to invite you by mail to exhibitions near you. How did you find Ivana? How did you discover Ivana's artworks? Ivana would love to get to know you! What are your favorite things to do in your spare time? If you answered "None of the Above" please share a little about your profession and/or interest in Ivana's work. Thanks! You are almost subscribed! An email requesting your confirmation of subscription has just been sent to you. Please visit your inbox and click the "Yes, subscribe me to this list" button. This double opt-in will ensure you will receive my emails. Thanks for joining the Art Insiders! Ivana selects only archival materials to create her artworks. All artworks come with a 30 day money back guarantee. 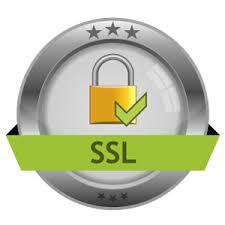 Credit Card Processing is SSL Encrypted (secure and private). All content of this website copyright of Ivana Damien George.